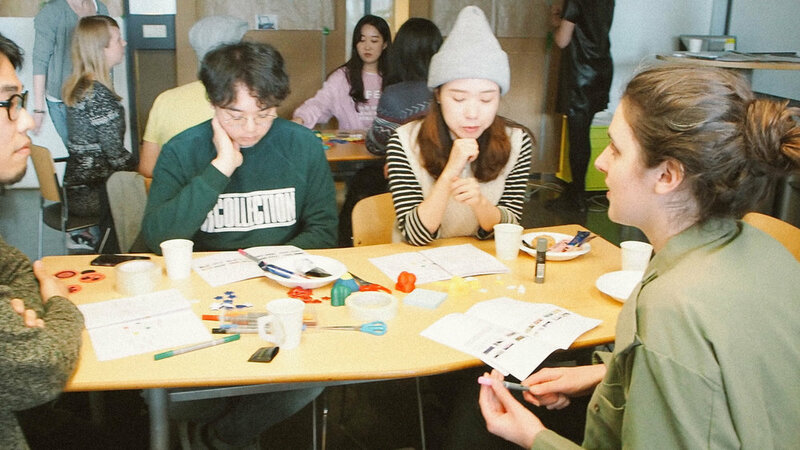 Our mission consisted in delivering a co-creational decision-making toolkit for the City, which assists it in problematizing citizen engagement and citizenship affairs through a city lab prototype, and will help to understand further inquiries related to policymaking and future governance models. 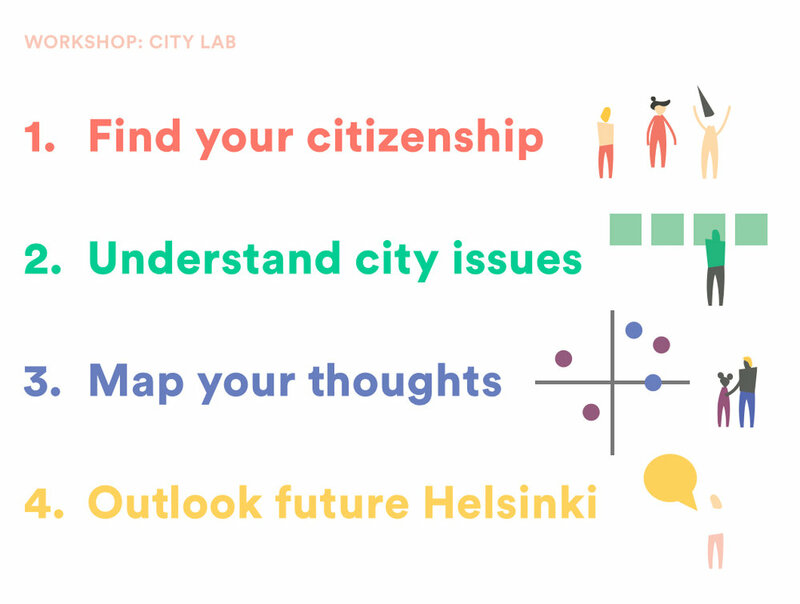 Helsinki is among the first cities in the world to run a City Lab, the purpose of which is to enforce user understanding and a culture for experimentation. 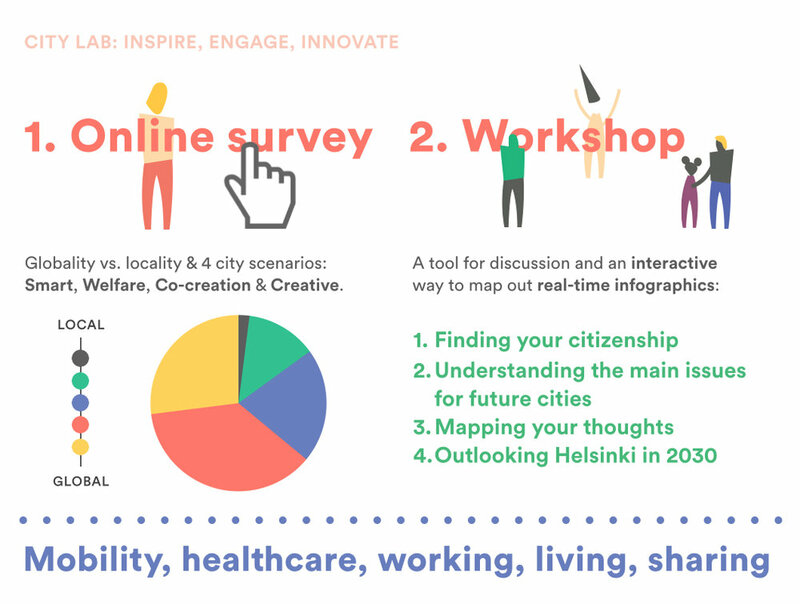 Helsinki Lab aims to profile design knowledge, digitalization, and interaction as an increasingly integral part of the city development. The greatest difficulties we faced happened as a natural consequence of working with a very large organization in the public sector. Deciding on a proper methodology for tackling our customer’s needs along with understanding the complex nature of its organizational structure and other political implications were the key challenges of this mission. First, we had to reframe the brief and give it a proper scope. Only after this, we were able to articulate the most pressing issues of future citizenship in which we could argument an action ratio for our project. As the project was running, we discovered a significant amount of insights for defining a strategy and executing a solution based on what we had expressed as a problem to address. Finally, we decided on the methods for execution and the processes through which data and information would be transformed into knowledge for our customer. A mixed methodology was tailored throughout the course of our project. Based on a convergence-divergence-convergence logic, our journey is comprised in what we called a triple-stage method: inspire, engage innovate. By following this logic we were able to take advantage of such an open-ended brief and transform it into a flexible way of strategically frame our outcome in parallel with its development. 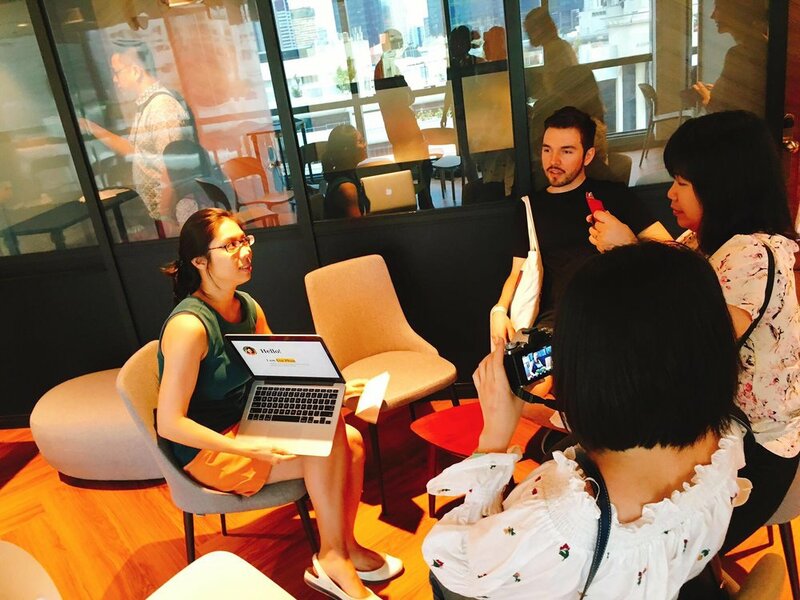 We conducted a field trip to Singapore with the purpose of understanding the core drivers of smart cities in situ, to participate in a number of workshops dealing with topics related to future citizenship and citizen engagement, and to hold interviews with experts in the field at the National University of Singapore. 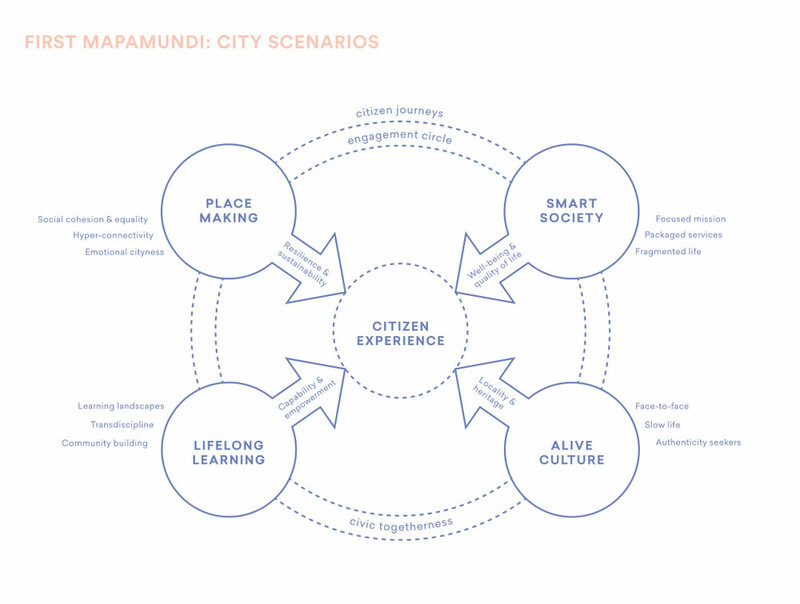 Our main outcome is a toolkit for the City. 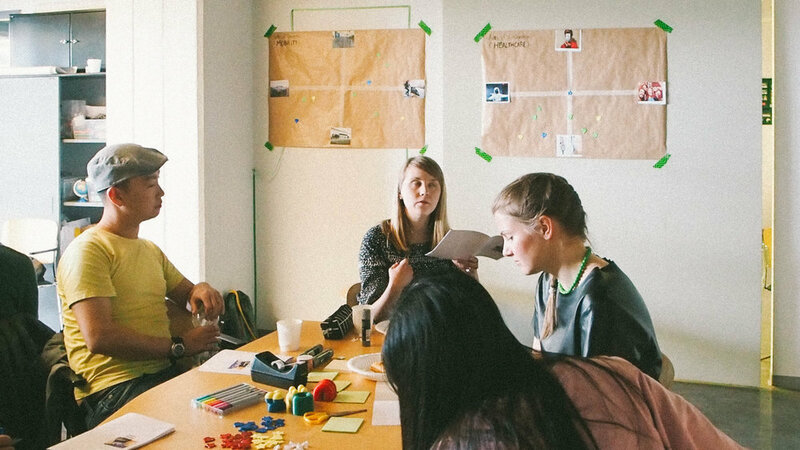 A part of it was handled as a digital workshop experience, followed by a city lab prototype in which citizens participated in a series of situations related to civic issues in order to: (a) gather relevant data and translate it into information and knowledge for our customer, and (b) foster citizen engagement with the City for further interaction, discussion and reflection.